Are you entirely new to sailing or powerboating? Has your experience been aboard smaller boats or in different waterways? Do you have skills that simply need refreshing? Pinnacle’s acclaimed sail and powerboat courses will have you captaining your fabulous Pinnacle yacht safely and confidently – it’s a breeze! Each instructor has had vast time at sea and undergoes rigorous screening and testing by the United States Coast Guard to achieve and maintain their Master license. Every course offered by Pinnacle Yachts is taught exclusively by these highly skilled USCG Licensed Captains. Using Pinnacle’s renowned curriculum, they deliver top-quality instruction in a way that builds skill and confidence. 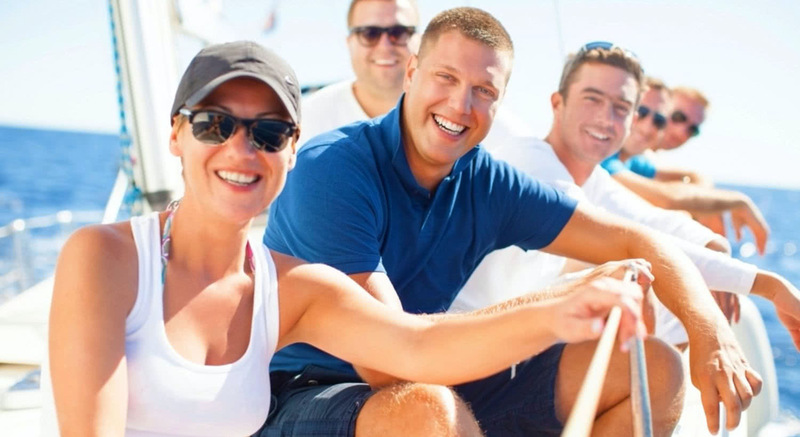 Available to Members in our shared-yacht program and their families and friends, Pinnacle training courses teach essential knowledge and skills, so you can enjoy your time on the water like a pro. Members learn aboard the yacht they will be captaining during the season. Additionally, Members complete a comprehensive online training program to ensure safe and enjoyable use of the yacht.